What will be the big group workout trends to drive success in our industry this year? It’s that time of year where we look ahead and make our predictions for the coming 12 months. So, what will be the big group workout trends to drive success in our industry this year? Phillip Mills shares a few of his top picks. Millennials and Gen Z, who will reach 24 years of age this year will remain the crucial battleground market. Our research shows that they comprise over 60% of the market when we measure it correctly i.e. by asking a large sample of people if they go to gyms of some description, not by asking a small selection of traditional clubs the average age of their members! Boutiques are the destination of choice for the large number of Millennials and Gen Zers prepared to pay more than budget rates. Boutiques are really starting to hurt the midmarket in most countries, luring their passionate group X members away with experiential spaces, cool brands and a new generation of highly paid instructors. I believe that this year we will see growing numbers of traditional clubs start to chase this market aggressively. You have equipment spaces that micros can’t match – you can put more modern, functional equipment into them and jazz your cardio areas up with multi-screen mosaics playing music video and adventure sports. A cool young advertising agency can tell your story in a way that will appeal to under-35 exercisers. I love 24HR Fitness’ “Boutique classes without the boutique prices”. Finally, you can take a leaf out of the boutique book by paying GX instructors more. We’ve existed on the generosity of near-volunteer labor in this area for decades. Now the boutiques are stealing our best and bringing on a new generation of rockstars by paying better wages. We can create win-win scenarios by paying based on attendance (with minimums and peak vs off-peak formulas) and we can either charge extra for classes or preferably, build bigger studios. Virtual classes will come into their own, transforming our industry this year. Until now, virtual systems have been painful to install and we’ve seen primarily poor-quality executions with small TVs or washed out projector screens. Over the past year, however, screen technology prices have plummeted. Being able to come in at off-peak times of day and workout with the world’s best instructors on a nine-screen mosaic or beautiful LED screen is creating a revolution in member experience at increasing numbers of clubs. 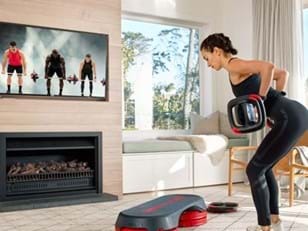 In New Zealand, our own state-of-the-art virtual set-up at the Les Mills Club in Newmarket, Auckland, is dramatically outperforming our older installations, accounting for 27.5 per cent of total club attendance. This is a club measuring 1,700sq m (18,000sq ft), with 4,800 members paying US$75 a month in a high-competition location. Furthermore, virtual seems to be acting as a gateway to live attendance at this club, with 50 per cent of our members attending live classes. And that obviously means great retention: an annual rate of 72 per cent. But a word of warning: don’t use Virtual classes as an excuse to ignore the importance of live instructors. The relationships they form with members are a crucial part of the success of traditional clubs. As noted above, rockstar teachers are a key element of boutique success. A single great teacher can attract and retain hundreds of members to your club over time; with a team of them, you can bring in thousands. Alongside our drive for video content quality, this year Les Mills is making a major increase in our investment in nurturing and developing great instructors. 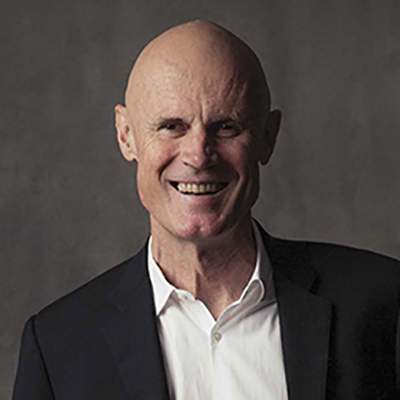 Immersive Fitness itself will move a step closer to the mainstream. Thanks for improving screen technology and pricing, we will see more facilities able to introduce The Trip; which users in the 40 clubs that have it are calling the world’s greatest fitness experience. Read more. Within the next few months, we will release smaller LED-screen formats that will be far more affordable for mainstream clubs. 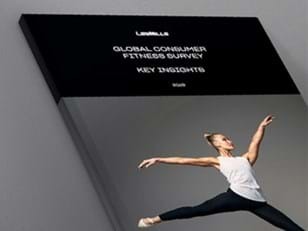 While 10 metre/33 foot screens remain the gold standard, our experiments have shown that the beauty and intensity of LED maintain the immersive quality of the class in screen widths as small as 4.5 metres/15 feet. The Trip, along with our two other live and virtual cycle classes, RPM and Sprint will give traditional facilities the ability to out-compete the boutiques in the cycle category. HIIT will remain one of the hottest workout trends with the under-35 crew, but slow strength classes will continue to attract the biggest weekly attendance in clubs in most countries. Recent market research has shown that feeling strong and empowered is a major hot-button for more and more fitness consumers (Essence Research 2016). BODYPUMP™ is stronger than ever (excuse the pun), quietly attracting higher weekly attendance than any other class in the vast majority of clubs that license it. Throw in others like CXWORX and Grit Strength and the category is a monster opportunity for clubs that have not yet capitalized on this trend. 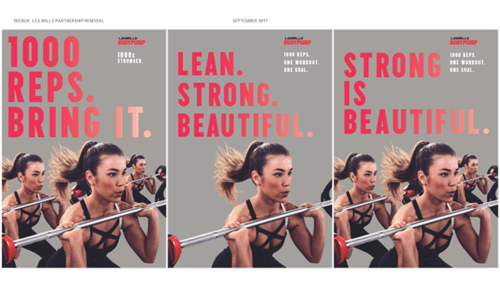 Next month Les Mills is releasing a very cool new Barre class that combines beauty and strength, using both ballet and sculpting with weights. This class has performed extremely well in global pilots and we have strong expectations for it. The above are just a handful of the big trends coming through in the area of group workouts; 2018 will certainly give all operators plenty of positive cause to review their group fitness offering. Whether you look to bring boutique into your club, introduce virtual studios, investigate Immersive, or embrace the power of strength, there are huge opportunities to cost-effectively set your club apart from the competition in this dynamic and diverse world of group fitness. Good luck in 2018. With the right moves, it will be a winner for you and we will be here to help.